Being an entrepreneur can be tough. If you put the word "entrepreneur" in a Google search, you'll likely get a definition of someone who has a business and that definition will probably use some phrasing like this: "...taking on greater than normal financial risks..."
Being an entrepreneur does not guarantee a consistent paycheck on the 15th and 30th of each month--unless you've created your own unique system to make this happen. Being an entrepreneur does not mean that you have new clients waiting for you each and every day--unless you have created a working system that consistently brings in new business for you. Being an entrepreneur means that you must make happen what you want to happen in your business. EVERY single day. 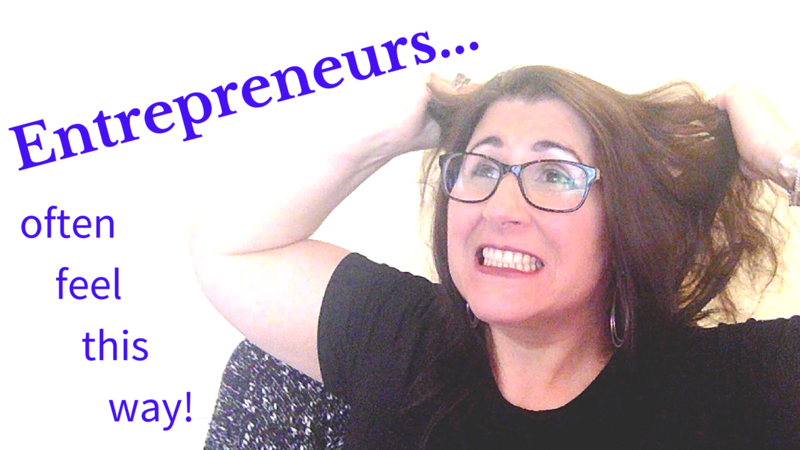 So why am I an entrepreneur? Even though there are financial risks, I love being an entrepreneur. I love the fact that I create my own hours, (early or late, week or weekday), and that I've never missed a basketball game, school activity, parent-teacher conference or college visit that my kids had. I was there for all of them. I was the only parent who was at all of the parent-teacher conferences for many, many years, the only one at all of the basketball games and the only one for the many college meetings and visits. Being an entrepreneur allowed me to do all of that. And I know it's not for you, either. Need a pick-me-up? Go here. Need some business books to delve into? Click here. Want some great podcasts? Try this list! Need some motivation? Go here. Want to get a 20-minute free strategy session? Click here.